Back in December of 2013 Bread & Salt, the new home of ICE Gallery, had an open house to show off all the hard work that had been done in the building over the past year. ICE had just barely finished putting up drywall and was in no shape to put on a proper exhibition. However, I decided there should at least be something within the newly demarcated corner space. 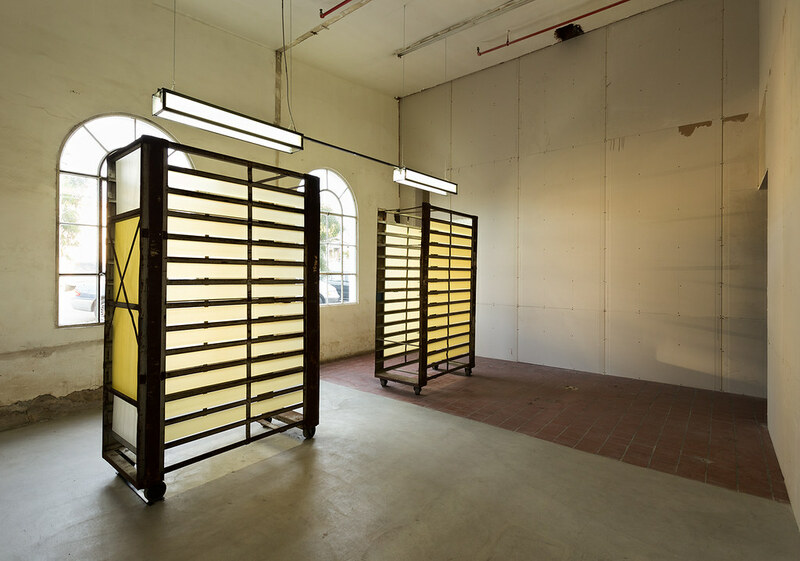 The end result was a sort of found object installation which utilized the old rusted bread racks from the previous tenant of the building. It was only viewable for one night, so thank goodness my pal Philipp Scholz Rittermann got some great photos of it before all the paper was ripped off and the racks went away to a scrap metal grave. On another note, the new ICE Gallery will hopefully be having it’s first exhibition the beginning of July 2014 (fingers crossed). Details coming soon. i look forward to the completion of the new ice gallery. You don’t have a date pinned down in July just yet, do you?